When Randi Hubbard’s left arm went numb for a month in 2014, she brushed it off as a pinched nerve. But when she woke up three months later with no sensation in both legs from the waist down, Hubbard knew something more serious was going on. A registered nurse in home care, she was familiar with the symptoms of multiple sclerosis, but she did not want to believe it until she was diagnosed. Unfortunately, an MRI confirmed her suspicions. Multiple sclerosis is a disease that affects the brain and the spinal cord, interrupting the flow of information in the central nervous system. It is an unpredictable disease that can severely disable its victims, with symptoms that can include blindness, loss of balance and coordination, numbness and even paralysis. 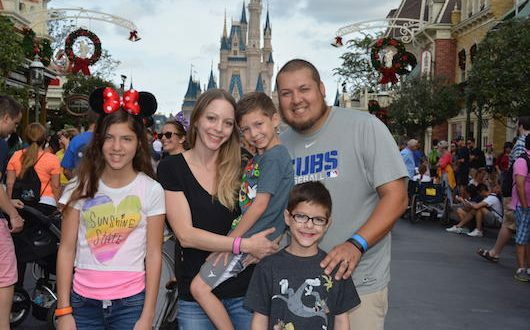 At 33 years old, Hubbard, a mother of three, was staring down a diagnosis that could eventually leave her in a wheelchair. Because Hubbard’s multiple sclerosis is particularly aggressive, her doctors immediately started her on the most aggressive treatment plan possible. But her condition will likely still progress even with her current treatment, which includes IV infusions every six months that take hours to complete and leave her experiencing many harmful side effects. Then she heard about a Chicago doctor whose experimental stem cell therapy has halted and even reversed the progress of the disease in his patients. With Dr. Richard Burt’s stem cell treatment, multiple sclerosis patients never need to have any infusions or medication ever again. The treatment, which is currently undergoing trials for Federal Drug Administration approval, uses chemotherapy to “wipe out” a patient’s immune system. Then, stem cells that were extracted from the patient pre-chemo are reintroduced into the patient’s body over the course of about two weeks, until the patient’s immune system has essentially rebuilt itself from scratch. “The stem cells build your immune system back to one that’s hopefully pre-multiple sclerosis,” Hubbard explained. Though Hubbard did not qualify to participate in the FDA trials, Burt agreed to take her as a patient on a “compassionate basis” due to the aggressive nature of her condition. The treatment is not without its risks. She could contract a serious infection while her immune system is compromised. And she will experience all the unpleasant side effects of chemotherapy, including total hair loss, pain, extreme fatigue and nausea. All together, the treatment will take about a month and a half to complete. She goes for her first round of chemotherapy June 17 for five days, followed by five more days of stem cell harvesting. She should be able to go home by June 29, and will then return to Chicago July 12 to be admitted to the hospital for two weeks, when she will undergo aggressive chemotherapy to wipe out her immune system and receive the stem cells they harvested in June. Though her insurance company is fortunately covering the cost of the treatment – which will end up totaling between $125,000 to $150,000 – there are still some hefty costs that will accompany the procedure. Hubbard must pay for airfare for herself and her family for her two trips to Chicago’s Northwestern Hospital, a two-week hotel stay near the hospital during her first round of chemo and stem cell harvesting, as well as lodging for her family for when she is admitted for her two weeks of additional chemotherapy in the hospital. Then there is all of her lost income during her recovery, which should take six to eight weeks. She is the main breadwinner of her family – her husband is a stay-at-home dad and veteran of the U.S. Marine Corps who suffered severe post traumatic stress disorder from his two tours in Iraq.